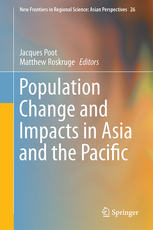 Provides an understanding of population change and dynamics across the Asia–Pacific region, with a specific focus on regional dynamicsOffers new insights into the demographic challenges facing the Asia-Pacific region in terms of migration, ageing and uneven population distribution and growth. Identifies trends and future developments in the areas of innovation, regional growth and migration. 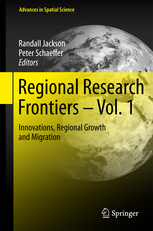 Covers research areas such as mobility, regional forecasting, and regional policy, and includes expert contributions on disasters, resilience, and sustainability. Builds on recent methodological and modelling advances, as well as on extensive policy-analysis experience. 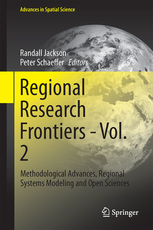 Identifies methodological advances as well as trends and future developments in regional systems modelling and open science. Covers research areas such as interindustry modelling, computable general equilibrium models, exploratory spatial data analysis, geographic information science, spatial econometrics. Builds on recent methodological and modelling advances, as well as on extensive policy-analysis experience.